Dainty design women's ring, studded with 61 round brilliant diamonds, a perfect everyday wear design is 18 karat white gold. 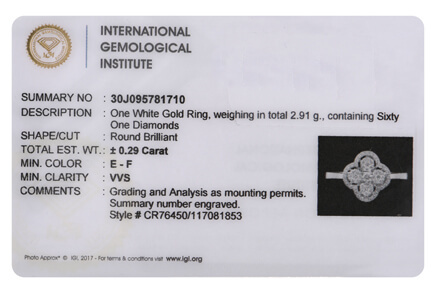 IGI certificate is available with this purchase. Lifetime guarantee included.